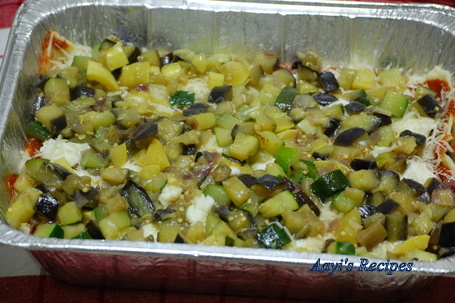 More than 2 years ago, I had posted a recipe of Vegetable Lasagna which was more of my own experiment. This time I am back with another recipe which was given to me by my friend Cindy. About 1 year ago, Cindy had invited us for a lunch at her place. Though she usually prepares meat dishes, she made vegetarian food for us. She knew I am a lasagna lover, so she made this for me. I became an instant fan. On my request, she sent me the recipe. Somehow, I never got to try this until recently. Llast month, one of my colleagues asked me if I can make vegetable lasagna. He wanted to bring lasagna for our entire group. But he didn’t know how to make vegetarian version. We have about 4-5 vegetarians in the group. Since I had not tried it for more than 2 years, I wasn’t very sure if I can pull it off. So first I made a small batch with Cindy’s recipe. It came out fantastic. Next, I made a whole batch for our group. I asked for some tips to get a beautiful top. Thanks to my friends, colleague and internet resources, I could make a very nice lasagna. Even the meat eaters in the group enjoyed it. It got over in minutes, I wish I had made a bigger batch. Soon, within one week, I made it once more for us. This recipe is a keeper. The original recipe called for unpeeled eggplant. But sometimes eggplants have a slight bitter taste near the peels. So one of my batches turned slightly bitter(the one when I took these pictures). So I am going to peel it hereafter. The canned tomatoes make a lot of difference due to their concentrated flavor. Things to improve : Next time, I need to mix the ricotta cheese very well with other cheeses before spreading it. I was getting impatient, so didn’t take time to mix well. Also, I need to wait till the lasagna cools down before digging into it(you can tell that from the above picture. I could not wait until it reached room temperature) :). In large skillet, heat oil over medium-high heat. 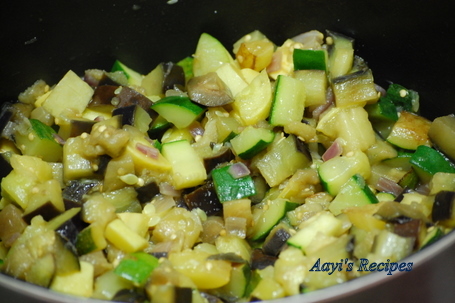 Add eggplant, zuchini, squash, onions and garlic. Cook, stirring, 5 minutes. 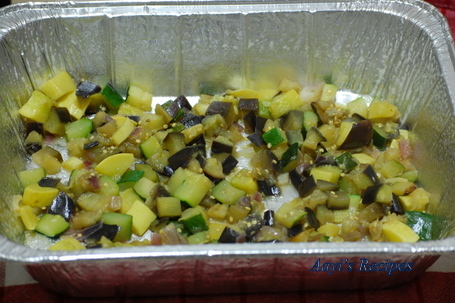 Bring to boil, reduce heat to low, cover and simmer until eggplant is tender. 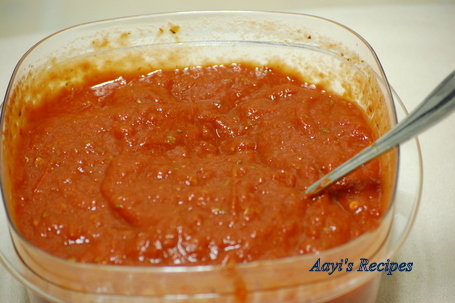 In another bowl, stir together both tomato paste and crushed tomatoes, 1 teaspoon salt and the sugar, basil and oregano. Combine ricotta, mozzarella, egg(if using), 1 teaspoon salt and the parmesan in large bowl. Bring water to boil in large saucepan, Add salt and cook noodles. Spray the 9 x 13-inch baking sheet with a little cooking spray(optional). Spoon 1/3rd eggplant sauce in the baking dish. 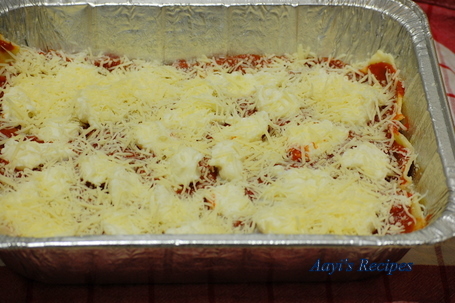 Layer with 3 lasagna noodles and 1/3rd tomato mixture, 1/3rd cheese mixture. Repeat layers until all layers are finished. Sprinkle with Parmesan and some mozzarella cheese. 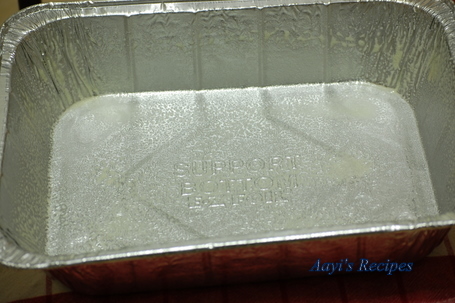 Cover the baking dish with a silver foil (poke 2-3 small holes to the silver foil) and for 30 to 40 minutes, until all cheese melts. 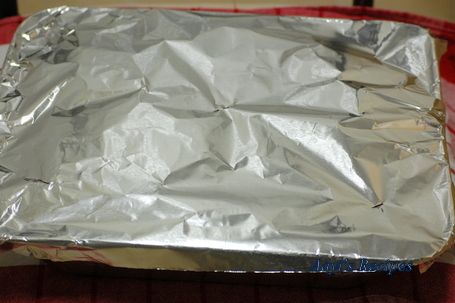 Take out, discard the silver foil and bake again for about 1-2mins. Take out from oven and keep rest it for about 1hr before cutting into it. 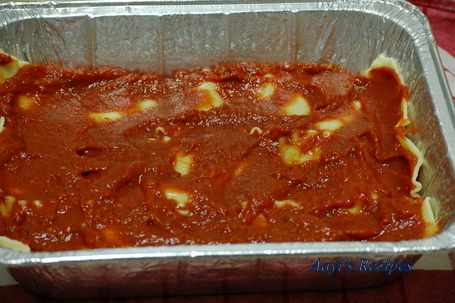 Refrigerate remaining lasagna. Next day, it becomes much more easier to cut. This lasagne looks amazing.Will try this version sounds easier than the one I make that requires a separate white sauce. Lasagna has been on my to do list for sometime now. The recipe is definitely easier. Nice job !! Happy Holidays to you & your family !! Wow, loos so delicious. Just got the sheets last evening and wanted to check your old post toning or tomm, when i go to the site you have one more. Thanks Shilpa. You lasagne’s lookin’ swell! Yes, I’d love a piece. Your lasagna looks delicious. I’m allergic to eggplant, so what could I use as a substitute? You can use mushrooms(use about 1-2 cups only). looks delicious~ may i have one?! 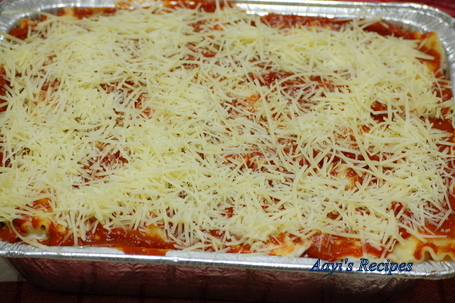 Lasagna looks awesome, I have one tiny bity doubt, can we prepare these dishes without oven ? This Lasagna wt Veggie looks amazingly yummmyyyy! D asked me to buy sheets, I said wot i wd do wt them, donno to make dem! 😀 Now I guess re-re-reading the entire recipe, I shd b capable! Thankyou for sharing! I am so glad I found your blog. I am very used to eating Maharashtrian cuisine (i am from Bombay) but i only recently got a taste of Konkani cuisine in Karwar and fell in love with it 🙂 I will be following your blog for more! Keep up this great work! Wonderful lasagna! I can’t wait to try this. Yummy lasagna. Bookmarked. Happy holidays to you Shilpa. i am under the impression that cheese contains beef fat in it. Can it be vegetarian? Shilpa, I was thinking about Kanchan’s question above- maybe steaming might work? I never tried it- it wouldn’t brown, but maybe after steaming one could take a propane torch to the top. Or not. 🙂 It might still taste good. 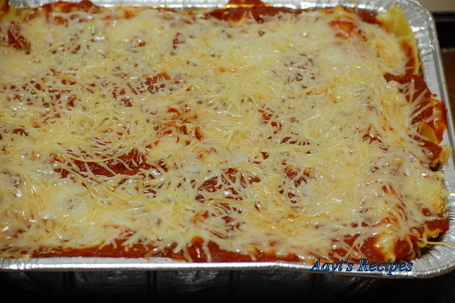 wow this lasagna looks amaing Shilpa,hats off to your patience!! WISHING YOU A VERY HAPPY ANE PROSPEROUS NEW YEAR!!!!!! Please read this article. May be helpful to you. Wish you a very Happy New Year ! Tried this vegetable lasagna…It came out awesome… I always wanted to eat lasagna.. but anywhr I went it was with meat… could never catch veggie stuff… Thanks for such a wonderful recipe. looks amazing and so mouth-watering! I am big lover of Lasagna. I tried your receipe with little modification of not using Parmesan cheese, it tasted awesome. I took courage to bake lasagna (which I have been procrastrinating on for the last 5 years) after seeing your recipe online. Tried it with reduced number of vegetables the first time and added some chciken kheema. It turned out awesome. I am baking it tonite for Easter weekend dinner with vegetarian friends. This time I added some hand crushed veggie patch “meatless meatballs ” to the cooked veggie mix ,before putting it together. 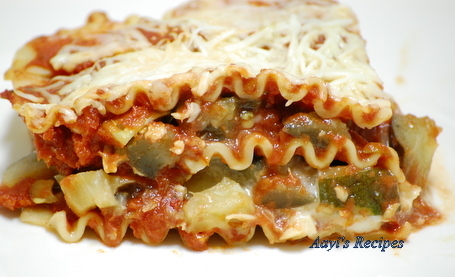 I love the texture of meat in lasagna , and I feel vegetarians should not miss out on the taste as well. 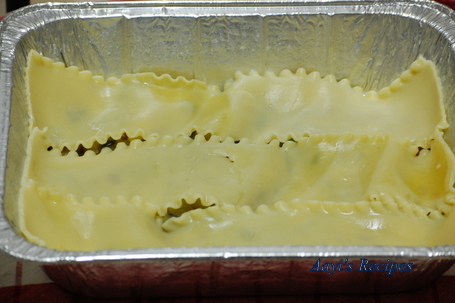 i tried this – it came out really well except that my lasagna sheets were uncooked. I used instant ones. i baked for abt 30 min first, and left it for another 15 min since the sheets were uncooked. but the cheese burnt. what cud hv gone wrong? The veggies and the sauce tasted awesome though.